In India baby potatoes are harvested during early winter. In the United States I see them on the shelves almost round the year, more abundant during the summer. The best ones look bright and firm, and have a delicate skin. I like to cook them without peeling the skin. Just wash thoroughly. 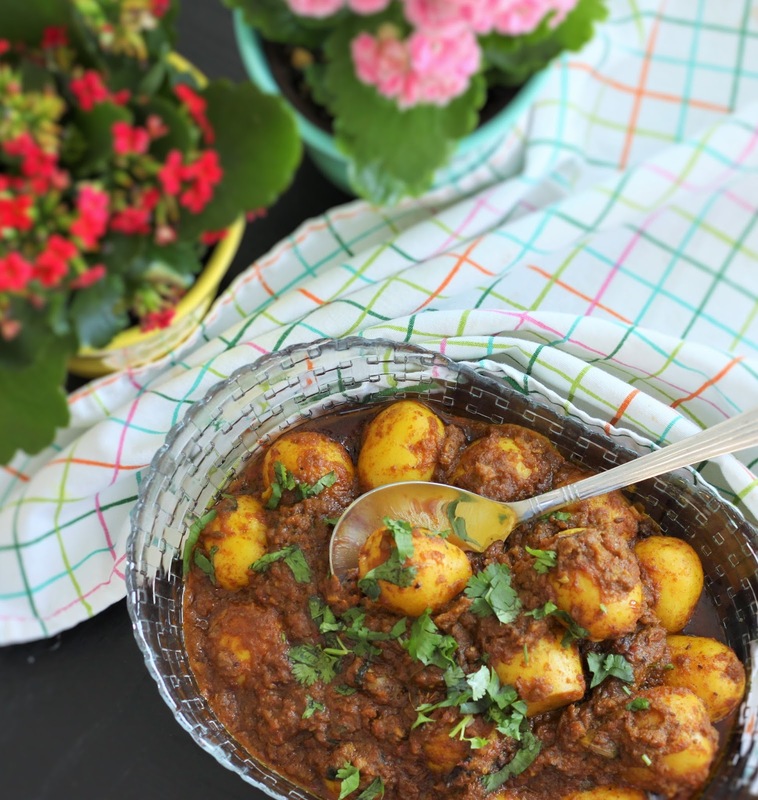 I follow my mom’s recipe of spicy baby potatoes – she makes them somewhat mushy, not too much curry. Simply delicious. 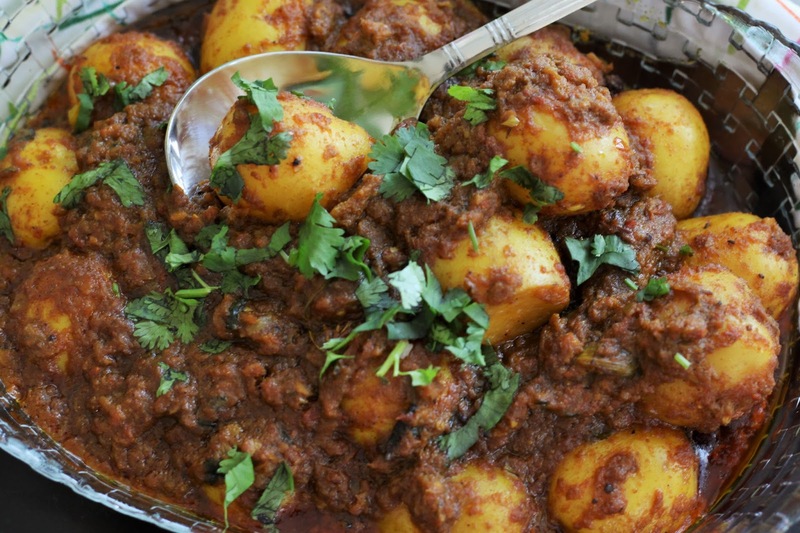 Serve with parathas or enjoy it as a side dish. I could eat them as a snack also.